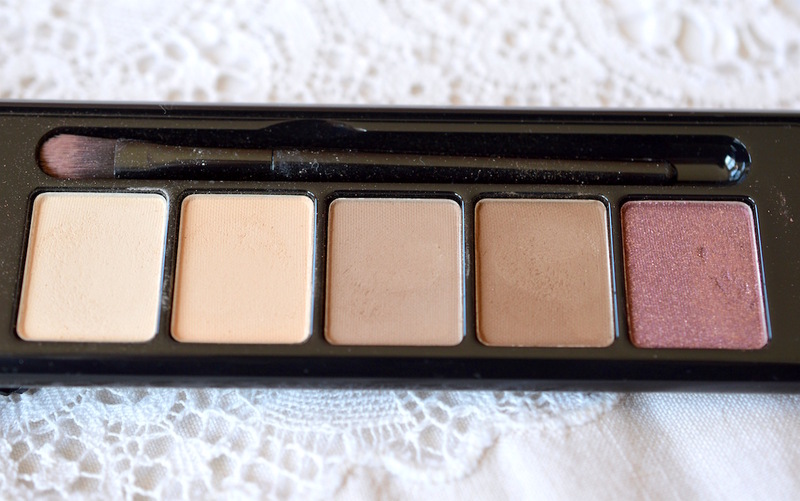 This palette is super small and sleek, perfect for a travel makeup bag (see mine here). I also love how the mirror takes up the entire cover, which flips up at the hinge to sit on a table if you need an impromptu vanity set-up. 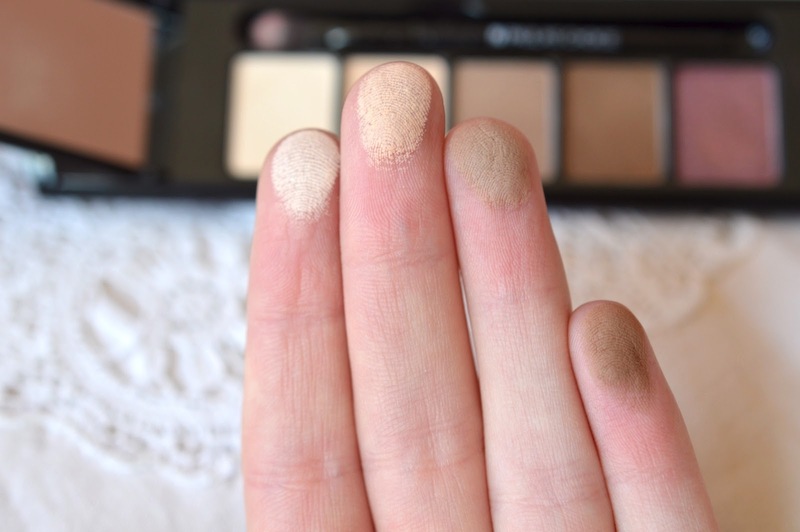 The texture of these powders is very consistent throughout. They are pigmented but not too powdery, and they do not dry out my eyelids like some other mattes. I really like the array of eyeshadows in this palette. They have provided a decent contrast on my very light eyelids, and the glittery pink colour is fun for a night out. On the lid: a mix of cream and beige. In the crease: café au lait first, with clay in the outer corner. 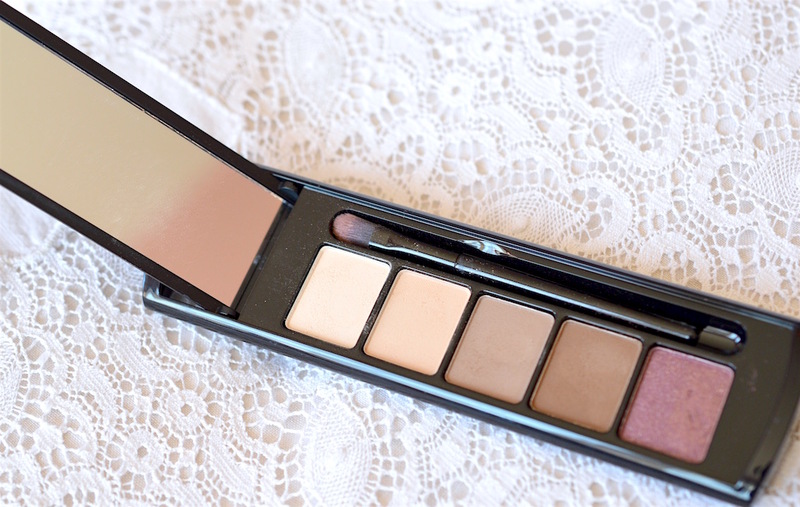 This palette is great for an everyday look. 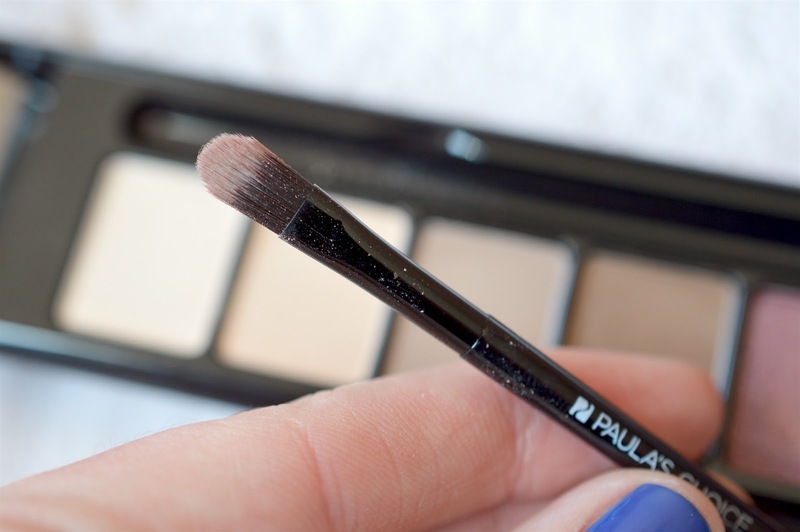 The matte colours really brighten up the eye and provide a natural definition that stands out just enough. I used a fluffy blending brush for this entire look. 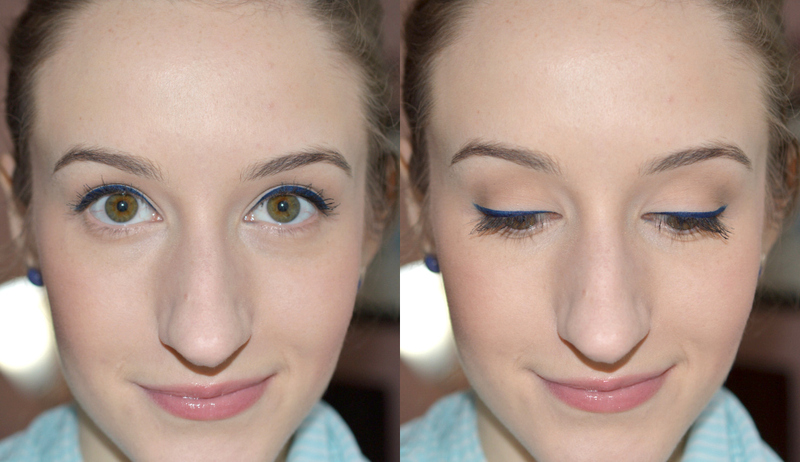 I'm also wearing the wet n wild Graphic Marker Eyeliner in airliner blue. 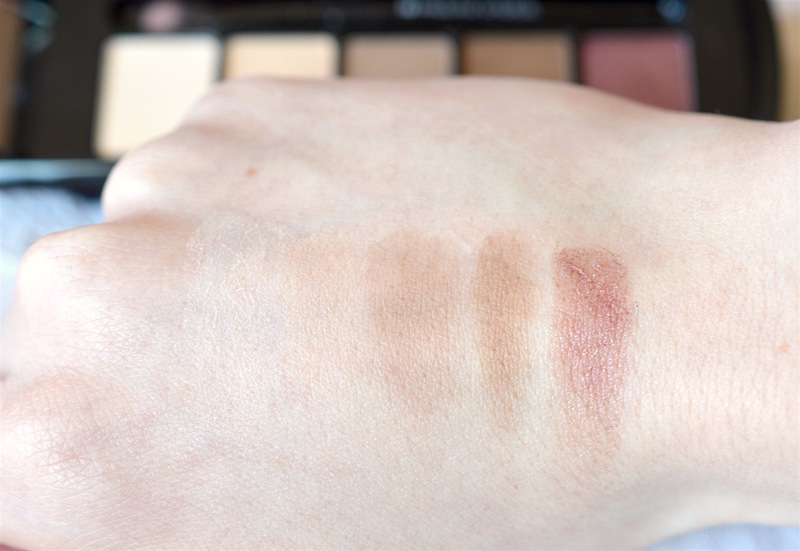 The palette comes with a little synthetic brush that works okay at applying the lighter shades and packing on the shimmery pink colour. 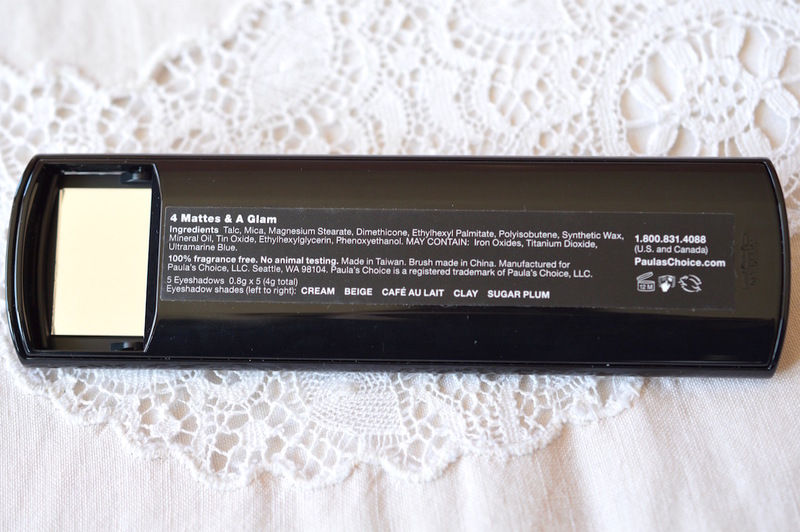 I'd personally use it for concealer or something more detailed than powder eyeshadow. If this is your first purchase from Paula's Choice, click here (referral) for $10 off.